Yggdrasil Gaming is promising to “reinvent casino” with the launch of its first ever table game, using ground-breaking motion capture, Sonya Blackjack. The multiplayer Blackjack product features intuitive mobile gameplay and a 3D dealer to create the ultimate immersive playing environment. 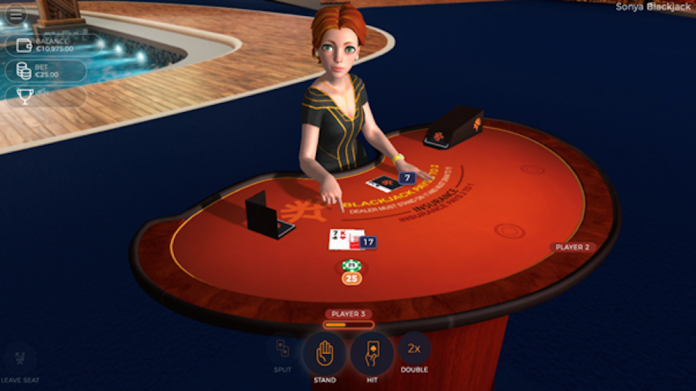 Up to three players can sit at a single table, with more having the option to stand. Players can watch others, including seeing how much they are betting and winning. Like in any respectable Blackjack game, the product offers all standard options including Insurance, Even Money, Split, Double and Double after Split, as well as some special features unique to Sonya Blackjack. Uniquely, operators can fully customise the product – including both the dealer and casino environment – or opt for a standard logo package. Operators will be able to go live with a custom branded skin from launch. Yggdrasil CPO Krzysztof Opałka said: “Yggdrasil has a track record of ripping up the rulebook to deliver products that reinvent online casino and Sonya Blackjack is no different. We’ve witnesses unprecedented interest in the product since we first introduced it at ICE. “Never before has a table game product been so customisable. With our 3D modelling, operators have unlimited opportunities to create brand- and event-specific environments, at a significantly lower cost than with live dealer. Sonya Blackjack is built on Yggdrasil’s proprietary tech platform Redux that combines the best aspects of both live and RNG casino, using motion capture technology to model the movements of the dealer. Redux has been developed internally from scratch and uses the latest technologies to ensure a seamless desktop and mobile game experience with strong performance and rapid loading. The product will open extensive cross-selling possibilities for operators and will also sync with Yggdrasil’s collection of in-game promotional tools, Boost, soon after launch, facilitating network campaigns.